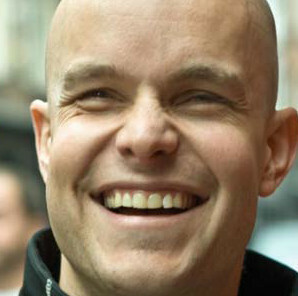 Mark Pollock is a truly inspirational man. When stricken with sudden blindness at the age of 22, he started competing in endurance races across mountains, deserts and polar ice caps. When a fall rendered him paralysed, he vowed to walk again, and is now pioneering the Ekso Bionics Exoskeleton programme. Mark’s experiences and achievements have given him extraordinary insight into human potential, and his speeches are perhaps the most motivational and uplifting you’ll ever hear. To book Mark for a speaking opportunity, please email Alex Hickman.